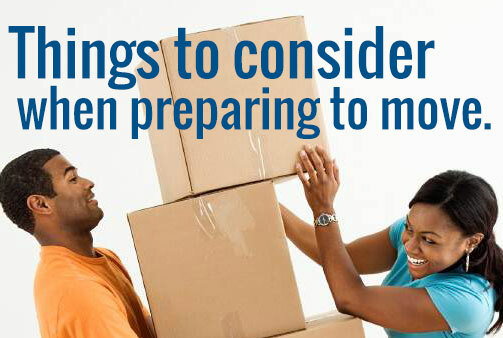 Are you getting ready to move? Slightly overwhelmed and not sure where to start? You have come to the right place! We are going to be sharing with you some extremely insightful tips from, “Jim the Moving Expert,” from Eastern Moving & Storage serving the Baltimore, Maryland and greater Baltimore area, (and incidentally also serves all of our Hirschfeld Apartment Homes in Maryland!) Jim shared tips from where to start when planning for a move, how to organize your move, to how to make an informed decision when choosing a moving company. Quickly navigate this article with the links below. When do you begin packing? What is the very first thing you should do when starting to pack? How do I choose which room to pack first? Okay, so you have just finalized your move, and set a date. When packing your fragile items, the rule of thumb in the industry is to pack your boxes with enough layers that if the box is picked up to waist high and dropped, it will not break. If you hire a moving company to pack these items, this should be the way they pack your breakable items. Be sure to pack the boxes so they will not crush when stacked. If your boxes are not filled to the top consider filling the empty space with items from around the house, pillows, blankets, towels, etc. If you do not have these items available, newspapers will work, or packing paper. When packing plates it’s best to pack these sideways in the box, on their end. Do not lie flat and stack. When packing dishes, pack heavier things at the bottom of the box, layer the lighter items on the top. When packing your boxes, do not include items such as cleaning materials, flammable items, bleach, things that can leak, etc. Plastic garbage cans should hold all of these items. Do not put these items in the hands of your moving company. This is another item you should take with you, along with your suitcase(s) of valuable items. There are several options when obtaining boxes, often times moving companies (such as Eastern Moving Company in Baltimore, MD) will supply FREE used recycled standard size boxes. You can also purchase same size standard packing boxes from places like: Home Depot, Lowes, etc. You can also use a colored labeling system. All boxes with purple labels belong in the master bedroom, while green labeled packing boxes belong in the kitchen, etc. Best of luck and happy moving! If you are unsure as to whether or not to hire a mover for your move, check out our other blog entry Choosing the Right Moving Company for your Move, from “Jim the Moving Expert.” He highlights some important information to consider when choosing the right moving company for you. Thank you to Jim and Eastern Moving & Storage for sharing all of these helpful moving and packing tips with our residents (and new future residents!) Did you find this article helpful? If so please “share” this on Facebook (right at the top of the blog entry,) so we can share this information with others! Do you have any questions for “Jim the Moving Expert?” Do you have any amazing tips you would like to share? Tell us on our Facebook pages!!! Special Deal for Hirschfeld Residents!!!! Attention current and future residents: If you want to hire Eastern Moving & Storage to help you with your move, Jim is offering a 10% discount and a free month of storage (if needed) when you mention this blog!